Can Wind Turbine Noise Make You Ill? As audiologists you may get a question about possible effects of wind turbine noise. You may be required to make a hearing or vestibular assessment in a patient who complains of a problem that he/she attributes to exposure to wind turbines. You should all be aware of the facts regarding health effects of wind turbine noise, because there are more than a few “fake news” items. The demand for renewable energy sources has resulted in the increased construction of wind turbine farms to generated electricity. As these turbines become an essential energy source, new concerns about potential health effects have been raised. This has been of particular concern for residents living near to wind turbine installations. 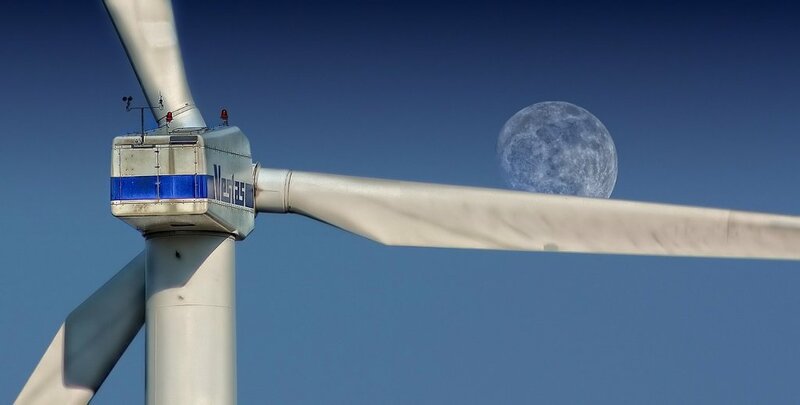 Worldwide, many developed countries (or local jurisdictions) have set out legislation and/or guidelines to limit turbine noise exposure for local residents. In Canada the wind energy industry has to comply with a number of government agency rules. Health Canada has responsibility for regulating acoustic noise and also assessing possible health impacts. In Canada and in most of the world, policy tools for regulating the establishment of wind turbines are in the form of setbacks and noise limits. In most of Canada (and worldwide) setbacks, i.e., the minimum distance of a residence from turbines is 550 metres (for a large 50 kW turbine). The maximum noise level allowed at a residential area is 40–50 dBA (depending on jurisdiction). Even when the turbine sources are set back appropriately and the noise levels are lower than the regulation limits, the question remains: Are there are any health effects of exposure to turbine noise? To address this question, the Government of Canada established (in 2012) a 10-member panel of experts to assess any evidence of adverse health effects of wind turbine noise. The experts included academics in occupational and environmental health, acoustics, mechanical engineering, and audiology. I was one of the panel members as was another one-of-our-own Christian Giguere (Audiology–SLP University of Ottawa). The experts were supported by a staff with experience in systematic reviews and statistical analyses. The approach of the panel was both systematic and broad. We discussed the acoustic characteristics of wind turbine noise. We reviewed any causal relationships between exposure to wind turbine noise and adverse health effects. We also highlighted knowledge gaps and discussed strategies to alleviate adverse community responses. The evidence that we reviewed included general literature on environmental noise and human health, and more specific, peer-reviewed empirical research related to wind turbine noise. Taking account of all this material we made decisions about the weight of evidence about causal relationships between wind turbines and health. Causality was defined as either: sufficient, limited, inadequate, or not existing. The future will see hundreds of wind farms popping up all over the country. As a result there will always be some who will need advice from hearing healthcare professionals. It is important that audiologists become acquainted with the health issues related to wind turbine noise. Pierpont N. Wind Turbine Syndrome: A Report on A Natural Experiment. Santa Fe (NM): K-Selected Books; 2009. (ISBN -13:978-0-9841827-0-1).